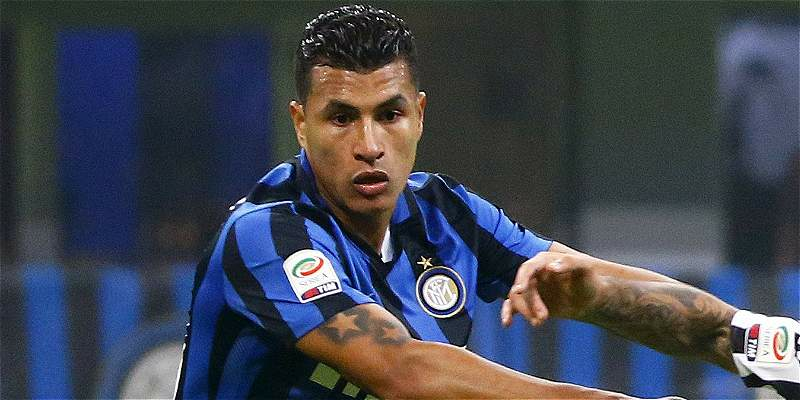 English clubs Arsenal FC and Leicester City are battling for Inter Milan defender, Jeison Murillo who has been with the club for a year. There are reports from Italian newspaper Gazzetta dello Sport that the centre back could move to Emirates this summer. Newly crowned Premier League champions, Leicester City are also reported to be interested in the player in a bid to beef up their defense and have backups especially as they would be playing in the UEFA Champions League next season. The 24-year old Colombia international has impressed at the heart of Inter’s defence alongside former Atletico Madrid man Miranda. Whilst some German websites, including the spielautomaten, have linked Murillo to Bayern Munich, many expect him to move on to the Premier League soon. Gunners coach, Arsene Wenger is believed to be on the lookout for a new centre-back to partner with Laurent Koscielny in the coming season. The French tactician wants to strengthen the spine of Arsenal’s team, with a commanding defender on his wanted list. The Gunners are also being linked by the pundits at Automatenherz with a bid for Napoli’s Kalidou Koulibaly and have also been linked with injured Chelsea star Kurt Zouma. Arsenal are also Interested in Inter Milan attackers Mauro Icardi and Ivan Perisic but the club through the president has reiterated their stance of the players. The president Erick Thohir said the players are not for sale at any price as there have been lots of interests. Ivan Perisic scored 10 goals in 41 games last season while Mauro Icardi scored 16 goals in 34 appearances for the Italian outfit. Thohir told Corriere dello Sport that the players are crucial to help the club achieve success at the Europa league they would be involved in next season. The president also discarded speculations that the club would acquire Lazio winger Antonio Candreva this summer.